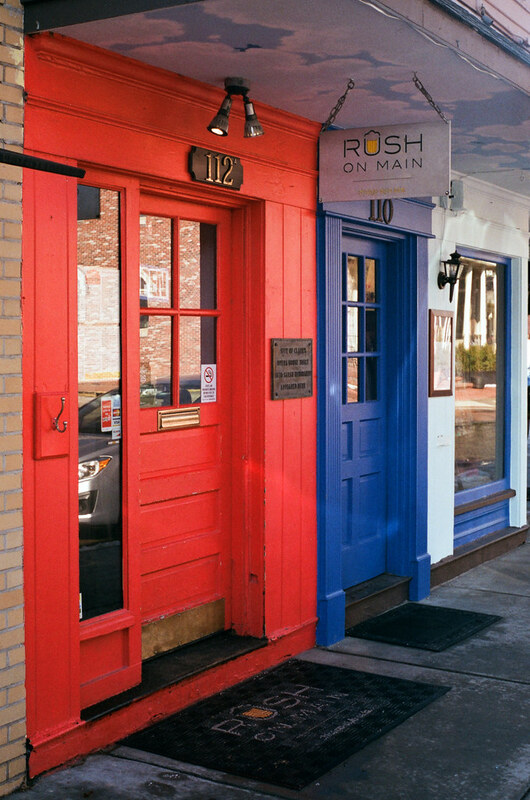 I’m smitten with the great color and sharpness my Yashica Lynx 14e delivered on Fujifilm Superia X-tra 400 the day I walked around Zionsville. It was a rare sunny day this extra-gray winter. After a heavy snow event the temperatures rose to near 50 degrees and so the streets were full of puddles. 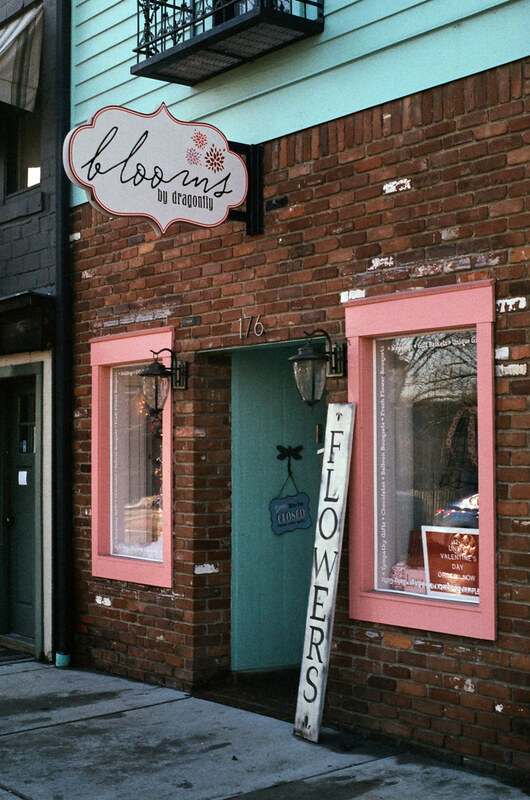 I photograph Zionsville a lot now that I live here, usually the charming Main Street. 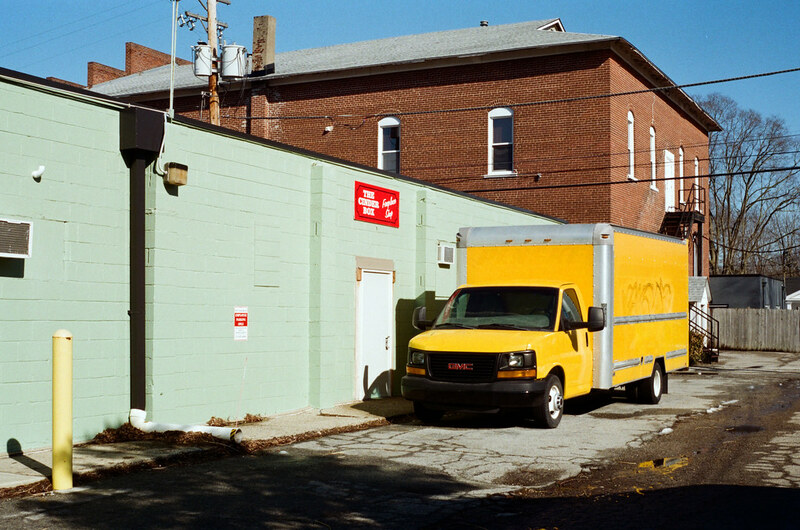 This day I walked along some of Zionsville’s back streets and alleys looking for interesting compositions. 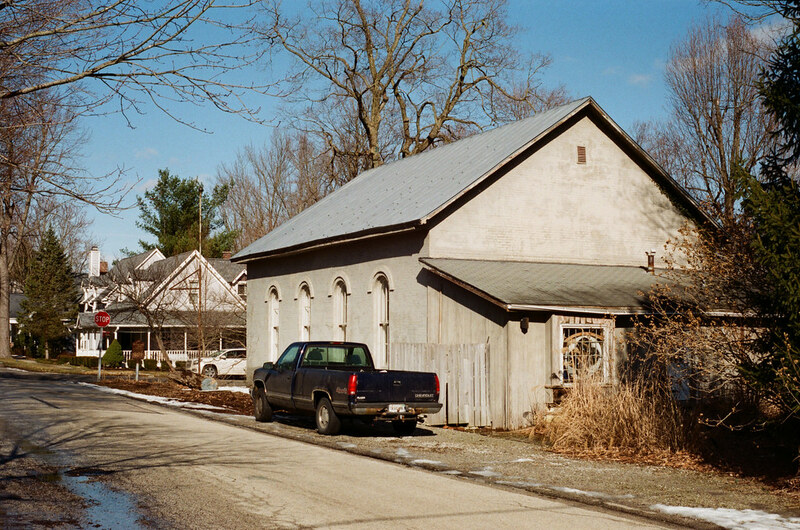 The town was chartered in 1852 and many buildings and homes from the last half of the 19th century remain. Some of them have been repurposed, like this little church that is now someone’s home. This green house at the north end of Main Street is probably my favorite in town, and I’ve photographed it over and over. Zillow says it was built in 1918, and has 3 bedrooms and 3.5 bathrooms. Zillow also says that this house is worth about a half million dollars. That’s a huge amount of money for a house in Indiana. 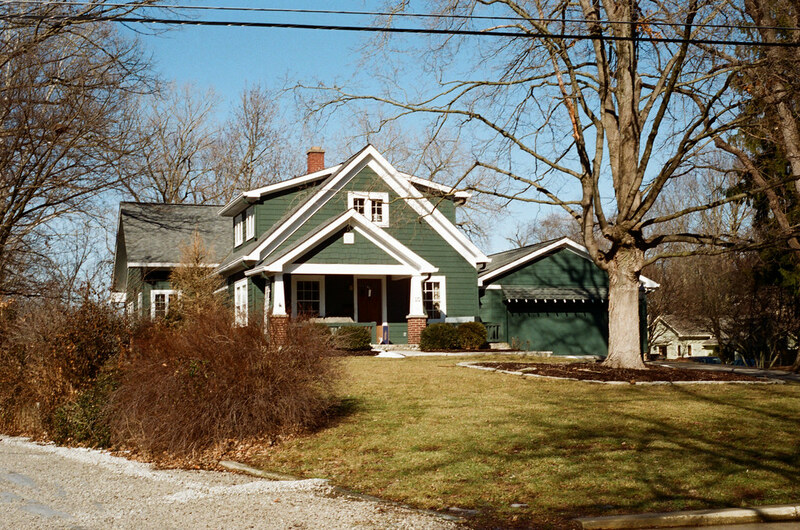 The same house in Indianapolis would go for far, far less. “The Village” in Zionsville can command these prices because it’s such a charming place to live. Margaret and I would love to move to the Village, but unless we luck into an incredible deal its home prices put it out of our reach. This isn’t one of my finest compositions, but I love how the Yashica Lynx 14e captured the light and detail of this scene. 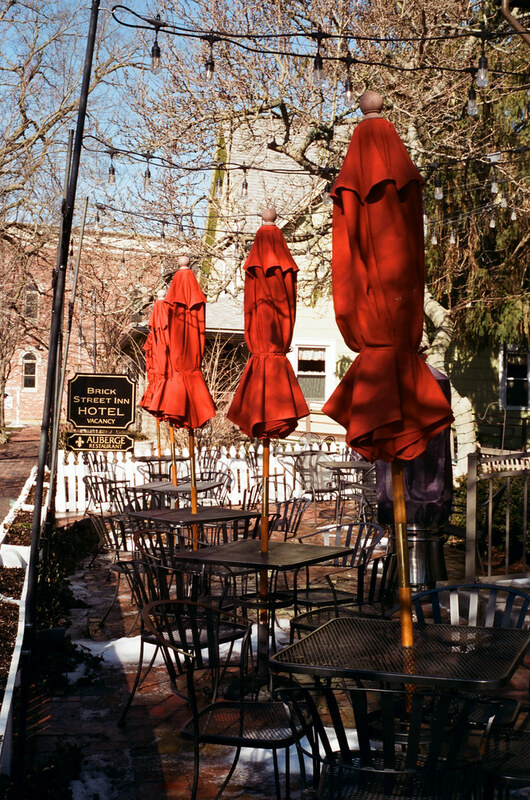 Also, the reds and blacks here are so good you’d think this was Kodak Ektar, not Fuji 400. 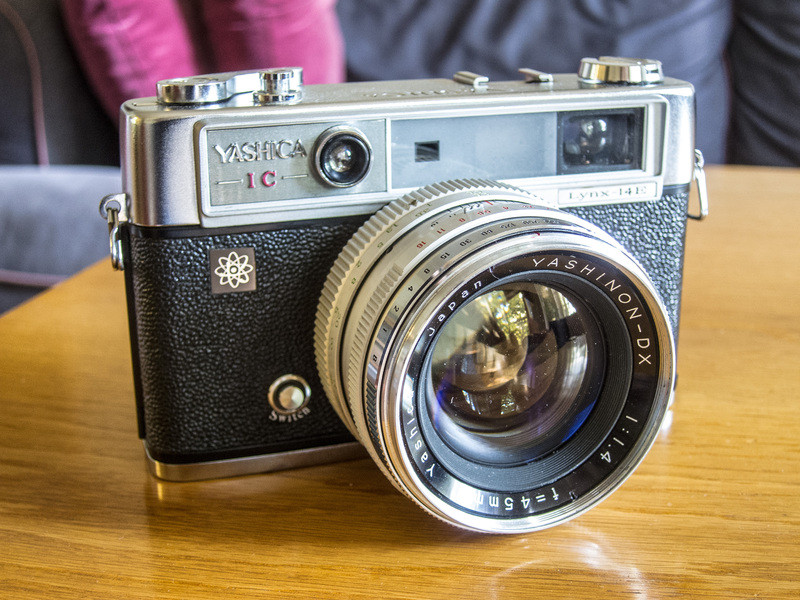 The 1968 Yashica Lynx 14e is a fixed-lens rangefinder camera that packs an incredible lens — 45mm at a whopping f/1.4. 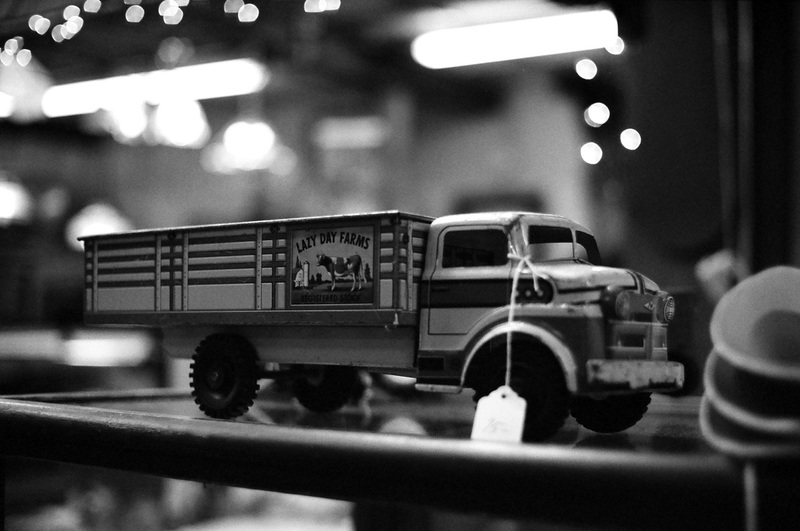 I first shot the Lynx 14e on a road trip with Kodak T-Max 400 inside. The results blew me away. Just look at those creamy tones, that crisp detail! Even four years after making this photo, looking at it still floods my brain with pleasure hormones. 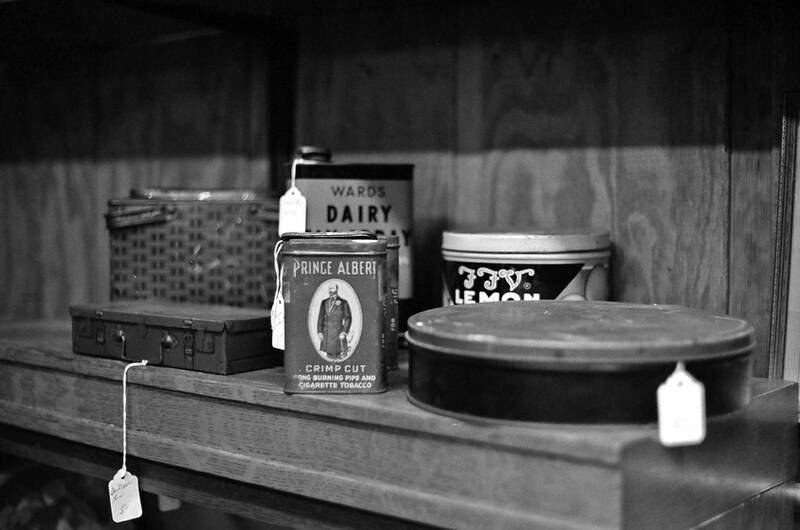 Here’s one more past photo from this camera, which adores being shot inside on fast black-and-white film. 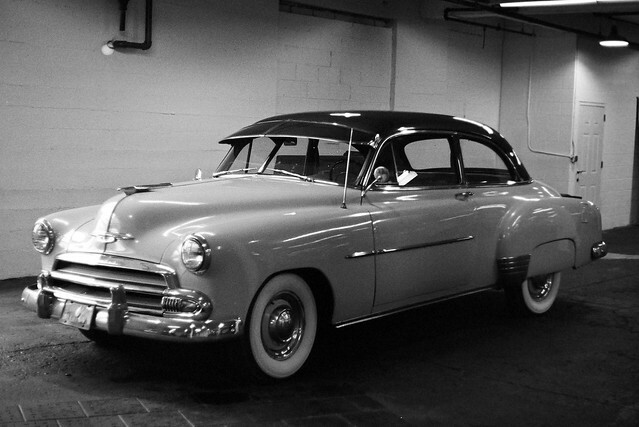 This time I used Arista Premium 400 (discontinued; I miss it). I photographed this Auburn Model 654 at the factory museum in Auburn, Indiana. Just look at this excellence. Look. At. It. So good! All is not perfect with my Lynx 14e: it underexposes by a stop. It’s not the end of the world, because I just set exposure a stop lower (say, EI 200 when shooting ISO 400 film) and all is well. But if I keep the camera, I’ll send it for CLA and have the meter calibrated. 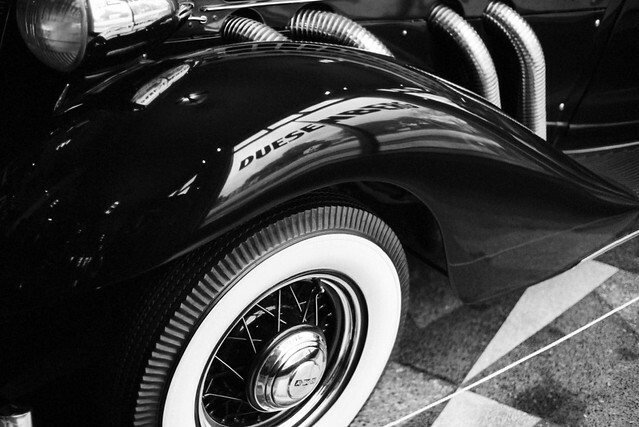 Its meter is powered by two PX640 batteries, of the mercury type that has been banned for years. I own no other camera that uses this battery. Fortunately, you can buy alkaline batteries of this size on Amazon for a few dollars. 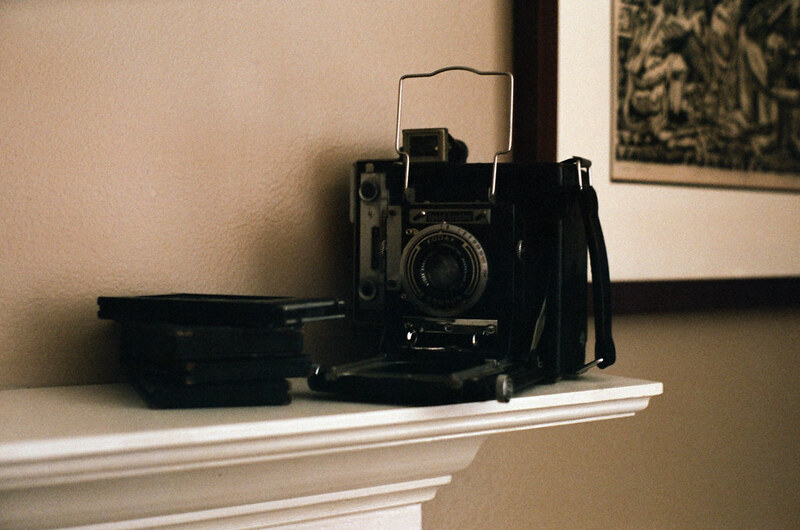 The voltage is slightly different but if you’re shooting negative film it shouldn’t matter. 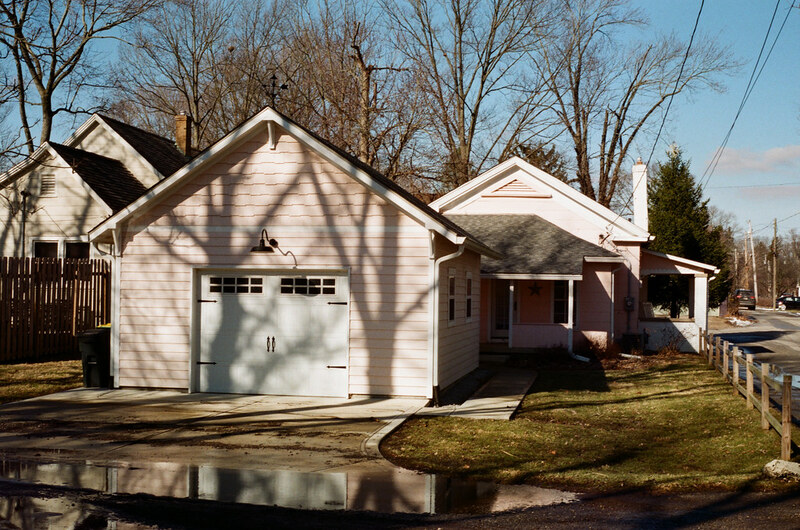 Since I wanted to see how this lens likes color film, I loaded some Fujifilm Superia X-tra 400. 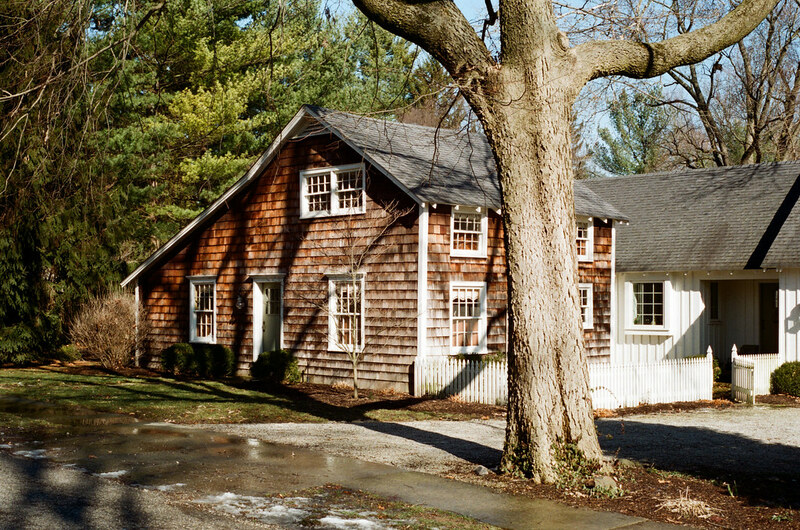 Also, it was the dead of winter and the gray days called for fast film. I started shooting stuff around my house. This lens finds whatever’s interesting about the light, and enhances it. These images are short on shadow detail. I tried to bring it out in Photoshop but it just wasn’t present. We got a rare day of full sun in early February so I took the Lynx into town to make a few photos. 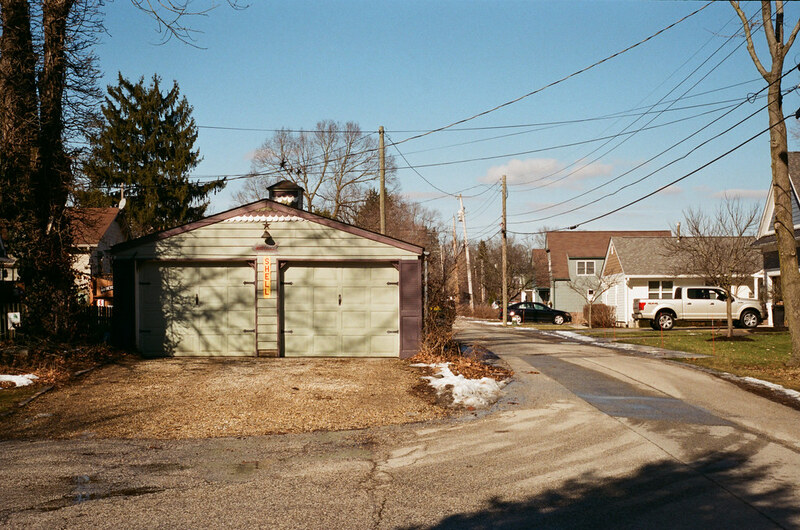 I dropped the camera’s ISO setting another stop for these photos, for two reasons: this film loves to be overexposed, and I wanted a little exposure flexibility as otherwise every shot would have been at 1/500 sec. and f/16. 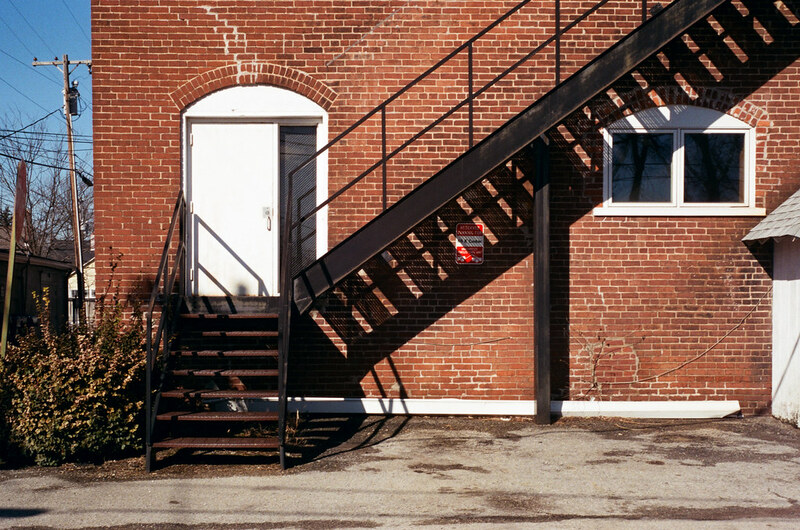 I’ve never seen Superia X-tra 400 look this good. I got Portra-like color from it. Other reviews of this camera have panned how you activate the camera’s meter: you press the amusingly named “Switch” button on the front of the camera. The consensus is that it’s awkward. But I’ve never had any trouble. What I did have trouble with, on this full-sun day, was reading the red OVER and UNDER indicators in the viewfinder window. They light when exposure is wrong; you adjust aperture and shutter speed until they disappear. They blaze bright in muted or inside light. Direct sunlight washes them out. 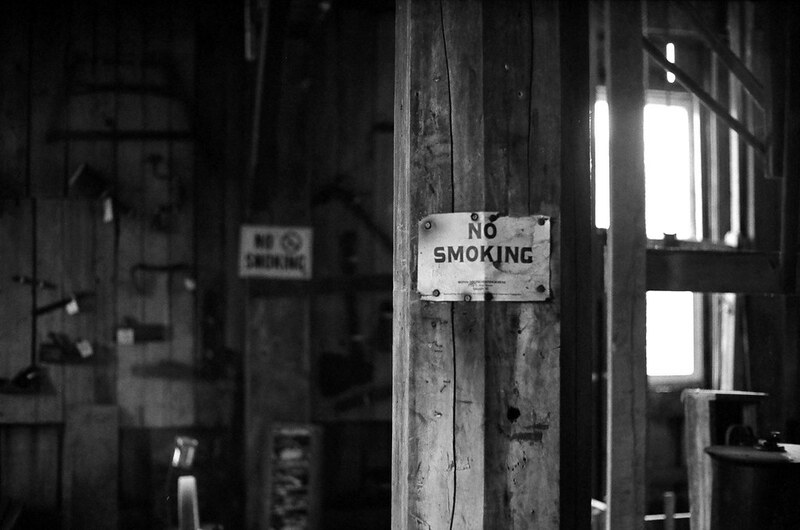 See more photos from this camera in my Yashica Lynx 14e gallery. When I evaluate a camera, I like to take it on a solid photographic assignment so I have a chance to bond with it. Unfortunately, cold and snowy February is the worst month of an Indiana year for photography. 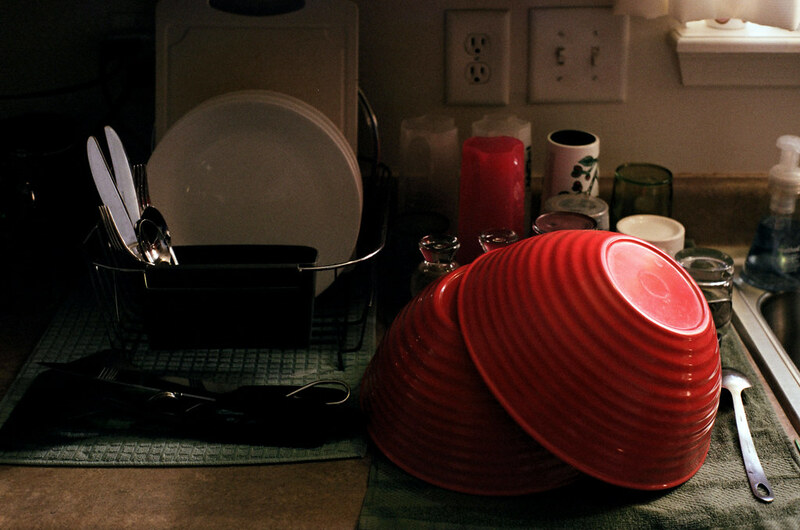 It took me weeks to get through the roll, sneaking in a shot here and there as I could. It didn’t create the best experience with this heavy camera. Moreover, even after thinning my herd as far as I have, I still own more cameras than I can shoot regularly. It is just a flat shame to own a good camera I seldom or never use. I’m not sure how often I’ll get around to shoothing my Yashica Lynx 14e. Still, I continue to be bowled over by the sharpness, detail, and tonal range this lens delivers. This camera deserves more of my time. 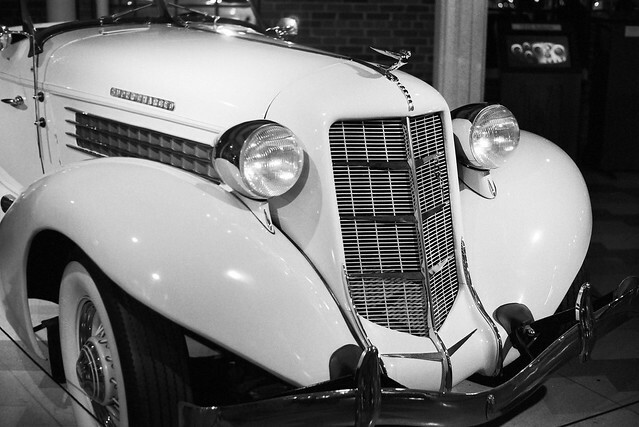 I wished I had an f/1.4 lens for my Nikon F2 last month when I visited the classic car museums in Auburn, Indiana. My f/2 prime would have left me with a mighty narrow in-focus patch; I wanted that extra stop of exposure. 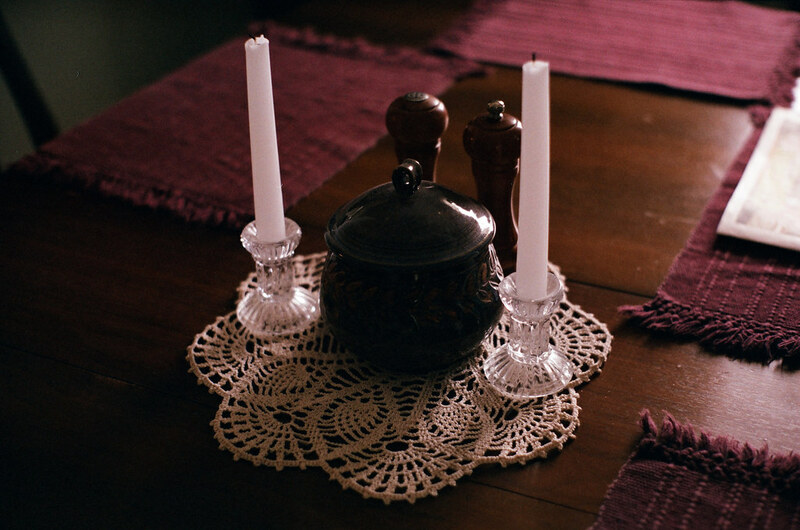 I had just had good luck with my Yashica Lynx 14e indoors in available light, though, so I decided to give it another try. 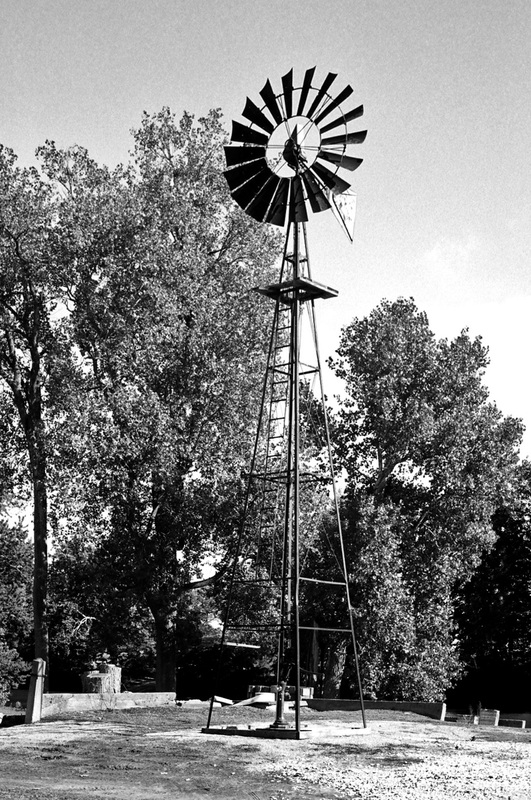 I also wanted to shoot black and white, given that I’d shoot endless color with my Canon PowerShot S95 on the trip. I had just bought a ton of Arista Premium 400 so I loaded up a roll. This film is heavily rumored to be rebranded Kodak Tri-X. It behaves much the same to my eye. And then the light in these museums moved frequently and quickly between bright areas and deep shadows. I knew getting good exposure would be tricky, and that the Lynx’s viewfinder would not help me figure it out. I really wished I had an SLR for its through-the-lens viewing. All day, I framed shots and hoped for the best. After the photos came back from the processor, several were beyond saving. These turned out all right, though. 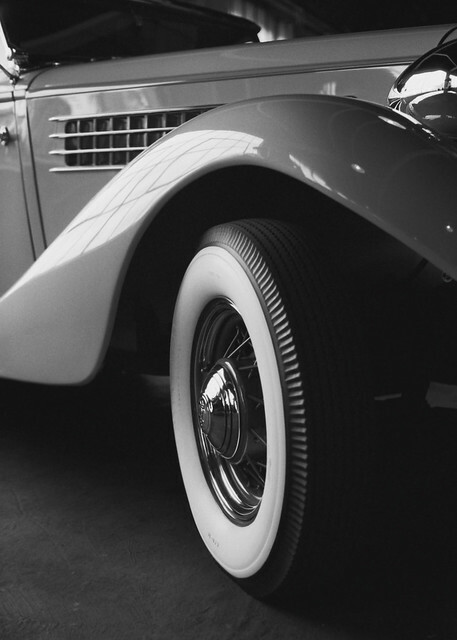 This photo of an Auburn’s fender and wheel required no Photoshopping. That luck didn’t last with photos of a pair of step-down Hudsons in the National Auto & Truck Museum. Light blasting in from intermittent skylights left deep dark areas in what had once been the Auburn factory. My Lynx did the best it could. 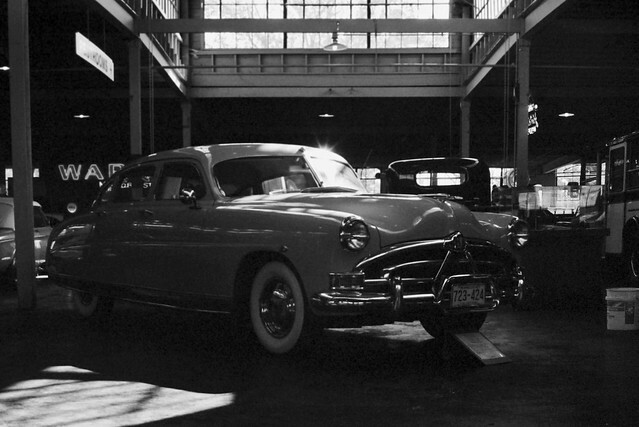 Despite the difficult light hiding many of this Hudson’s details, I like the mood that lighting creates here. 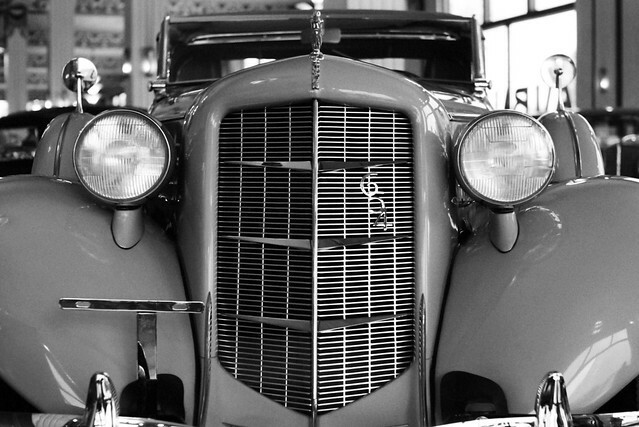 Dim, even lights in the National Auto & Truck Museum basement meant wide-open exposures and the narrowest in-focus patches, but with care I made some of them work. 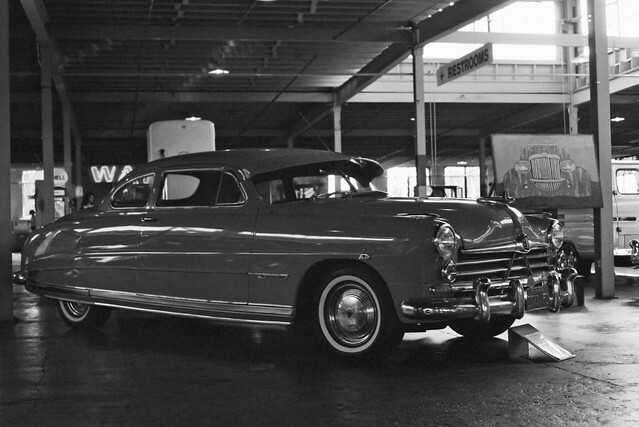 Here’s a 1952 Chevrolet. 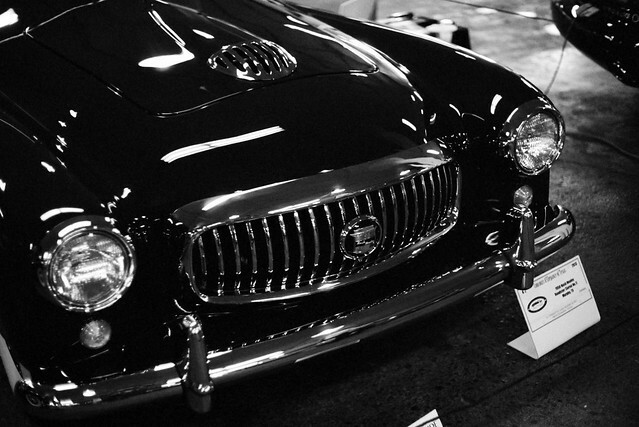 I lingered over this wine-colored Nash Healey, the first one built. 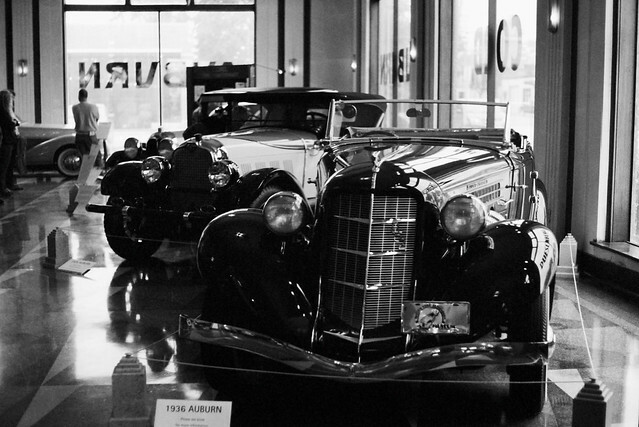 Inside the neighboring Auburn-Cord-Duesenberg museum, shooting away from the enormous plate-glass windows gave the best chance for good exposure. Always a contrarian, I tried a few shots facing them. This was the best of them; the rest could not be salvaged. Getting down and close worked, too. Here, I made one of the great windows work to my advantage. Upstairs, faced with illumination entirely by spotlight, I all but gave up on the Lynx. I did manage this one photo. I wish I could say that I enjoyed the challenge in this difficult light. But I’d face this frustration again, because I want to prove I’m photographer enough to handle it. For years, my short list of must-have cameras has included either the 1965 Yashica Lynx 14 or its integrated-circuit-driven younger brother, the 1968 Lynx 14e. None of the other big fixed-lens rangefinder cameras I own have these cameras’ enormous namesake f/1.4 lens, which is fabled for its sharpness as well as its low-light capability. These cameras usually go for way bigger bucks than I like to spend, so I patiently scanned the auctions for several years looking for a bargain. I usually have good luck buying that way, but not this time. I ended up with both a 14 and a 14e with stuck shutters, weak light meters, and various other minor ills. I tried to repair them myself to no avail. Reader Derek Wong offered to make my two Lynx 14s into one working one, and repair another of my cameras, in exchange for me sending him a bunch of cameras I won’t shoot again and have run out of room to store. It was a great trade. Not only did Derek get the 14e working, but he replaced the light seals and gave it a solid clean, lube, and adjustment. When I got it back, it looked and felt like new. The enormous 14e weighs a whopping two pounds and stands taller and wider than my Nikon F2 SLR. It feels extremely well built, and all of its controls work smoothly but lack that silky feel you get with pro equipment. The front-heavy 14e is dominated by its 45mm f/1.4 Yashinon-DX lens, of seven elements in five groups. Its Copal SVE leaf shutter operates from 1 to 1/500 sec. I thought I’d wish for 1/1000 sec, but even shooting indoors I never needed it. The 14e’s light meter is powered by two odd-duck PX640 mercury batteries. Fortunately, Amazon sells alkaline cells of the same size, and they work well enough. The meter’s CdS cell is on the camera body next to the Yashica logo, so if you shoot with filters you need to adjust exposure manually to compensate. The 14e takes 58mm filters and accessories. I gather that this lens is prone to flare, and that a lens hood is recommended. But who has a 58mm lens hood lying around? By the way, if you like big fixed-lens rangefinder cameras like this one, also check out my reviews of the Yashica MG-1, Yashica Electro 35 GSN, Konica Auto S2, and Minolta Hi-Matic 7. 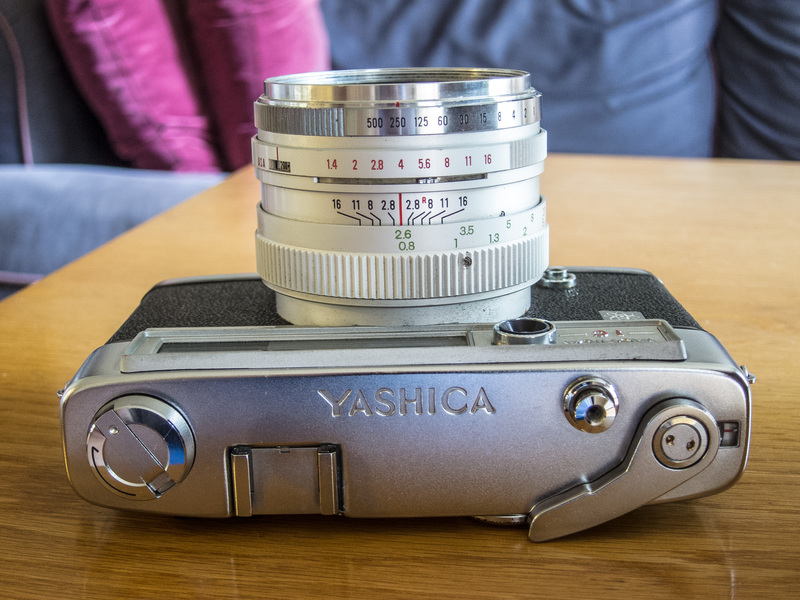 Or if your a Yashica fan I’ve also reviewed two TLRs, the Yashica-D and the Yashica-12. Inconveniently, most of the camera’s controls are on the lens barrel, and one control doesn’t feel different enough from another to choose them by feel. I kept twisting the aperture ring when I meant to focus. But because aperture is stepless along its f/1.4-f/16 range, I couldn’t just click it back to where I had it. I always had to reset exposure from scratch. Strangely, you activate the light meter by pressing the “Switch” button on the camera’s face. My fingers always fumbled to find it, and it’s hard to hold in while you adjust aperture and shutter speed. While you do that, the words OVER and UNDER appear in the viewfinder. When they disappear, you have a good exposure. I checked my 14e against my iPhone’s light-meter app and found that my 14e was underexposing by one stop, so I compensated by setting the camera’s ISO one stop lower. You might think I’m about to pan this camera. You would be wrong. Because oh my gosh look look look at these results! The Lynx 14e was born to take photographs inside in available light. It just killed every time. And you can cut yourself on these images they’re so sharp! 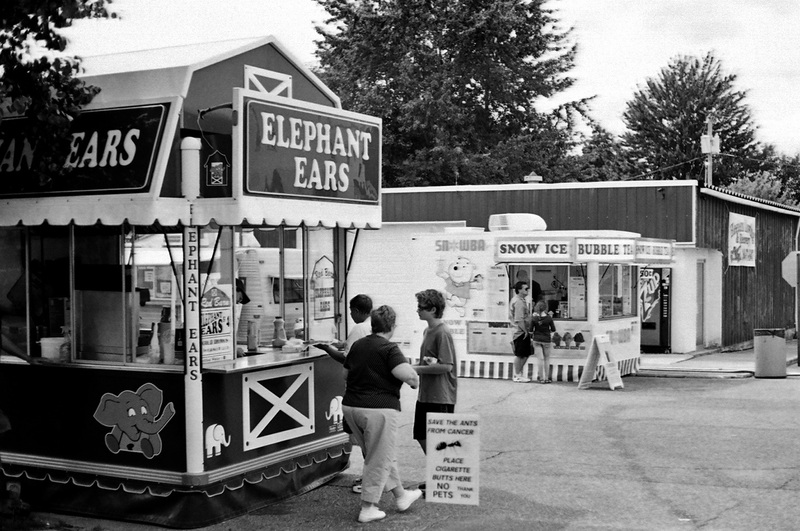 These photos are on Kodak T-Max 400. The Lynx 14e did all right outside, too, but to look their best all of those shots needed a little tweaking in Photoshop. 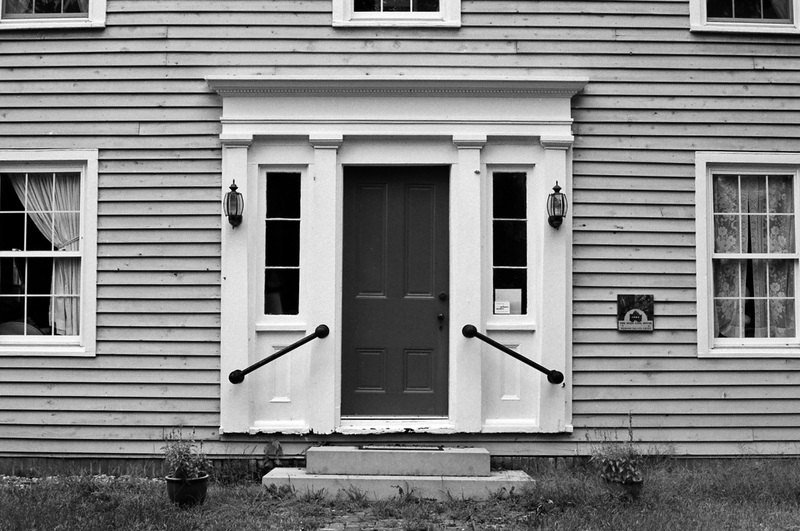 Once adjusted, clarity, detail, and tonality turned out good, but not better than on any of my other fixed-lens rangefinder cameras. Truly, this camera’s killer use is indoor available-light work. 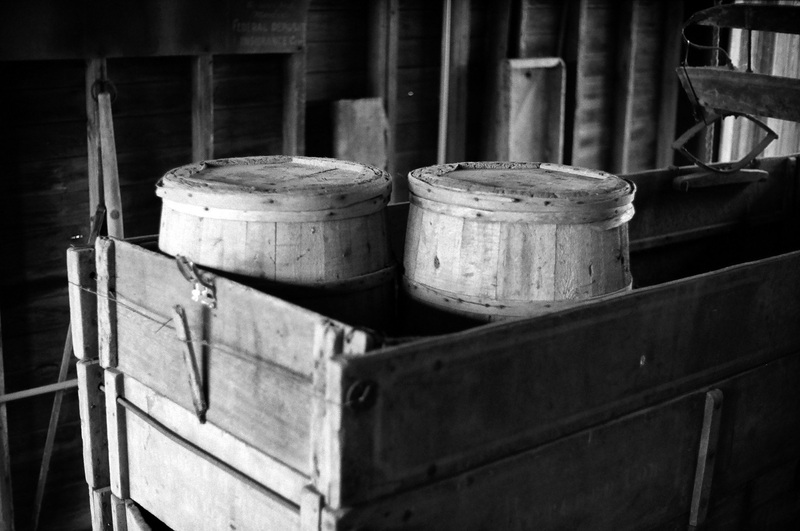 Look at this creamy shot from Stockton Mill, an 1850s grist mill in northeastern Indiana. The light play is just outstanding. This wagon was made in my hometown, South Bend, as it says on a part of its back panel that didn’t make it into the photo. I shot it because the light on the barrels was good. This lens does have a flaw: barrel distortion. You can really see it in this shot, but it’s evident in some of the others, too. But as long as you’re not shooting something with obvious, edge-to-edge horizontal lines, you might not notice the effect. 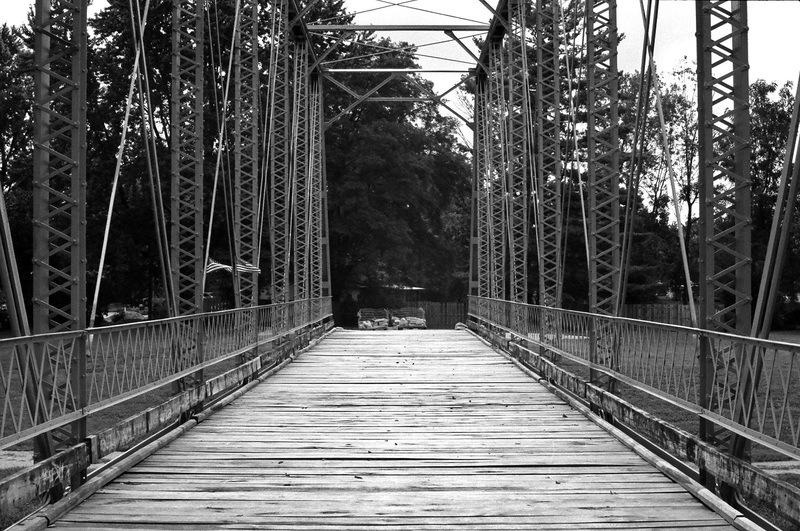 Here’s a shot of the Houck Iron Bridge in Delphi. The barrel distortion is barely noticeable. 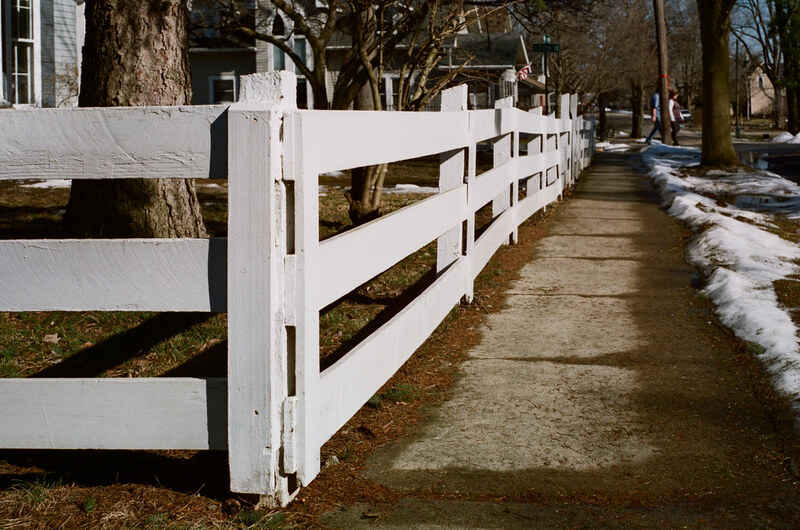 To see more from this camera, check out my Yashica Lynx 14e gallery. One other quibble: the Lynx 14e’s viewfinder adjusts automatically for parallax, but I found that my close-up shots were not as centered in the frame as I composed them. I cropped them back to right in Photoshop. I almost gave up on my broken Lynx 14 and 14e. I’m so glad I took Derek up on his repair offer! The Lynx 14e’s usability challenges are worth grappling with again just to get to know this wonderful lens better. I just ordered a bunch more black-and-white film, and I’m sure some of it will make its way into my Lynx 14e.